One thing I am learning in school as I study to be an Early Childhood teacher is how important emotional and social development is in a young child's development. It is important to work on social and emotional concepts with children but sometimes, for me, it is hard to come up with great ideas on how to do this with my children! But now Neat-Oh! 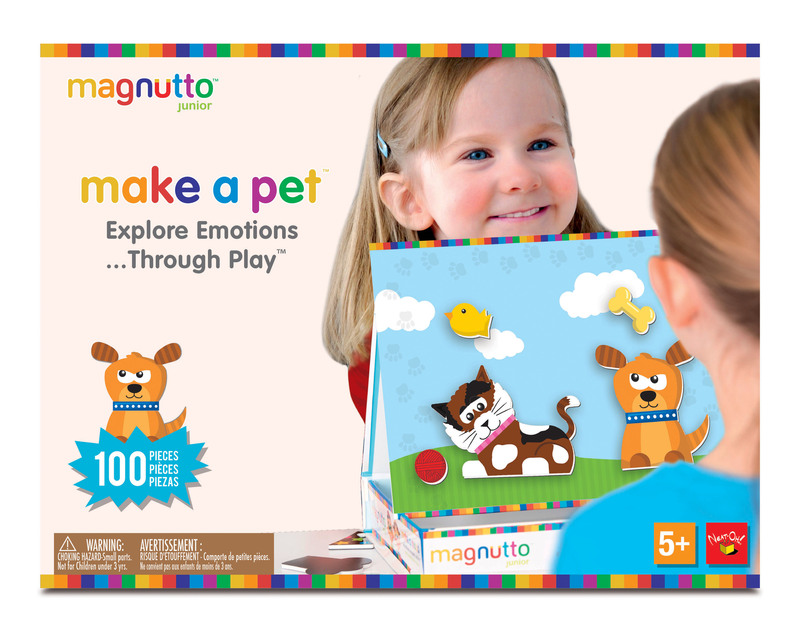 and their Magnutto Make A Mood magnetic activity sets are helping me and my children talk about feelings, emotions and we are having fun while doing it! Kids may or may not recognize a scared cat, a mean dog or a worried classmate. 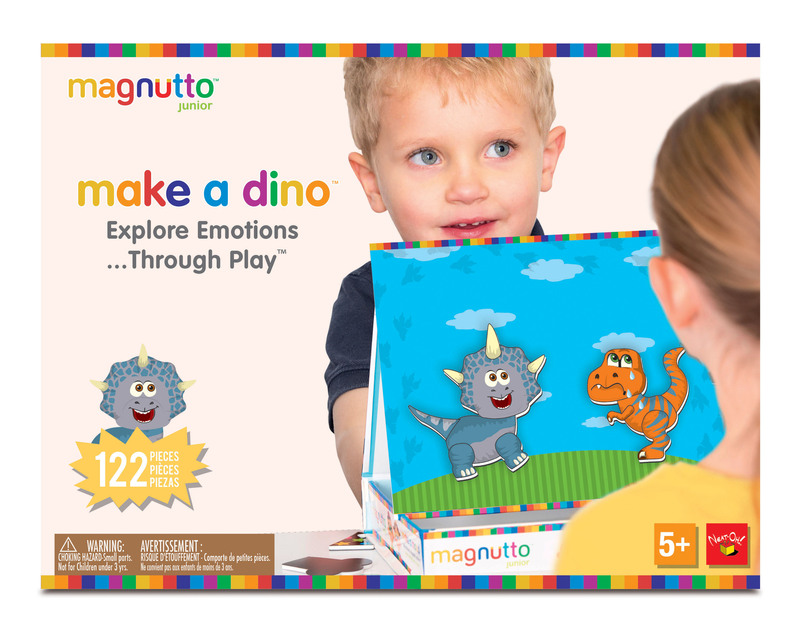 But every feeling has a face™ as the three Magnutto play sets – Make A Pet, Make A Dino and Make A Mood show in an age-appropriate and fun way. The $24.99 sets for ages 5 and up are stuffed with facial features, hair and headpieces for children to select, build, then discuss. The results might look like a Picasso portrait. Or it might be spot-on as to how a child is feeling at the moment. Either way, it’s a wonderful starting point for caregivers and children to openly discuss how people and four-legged friends express themselves. 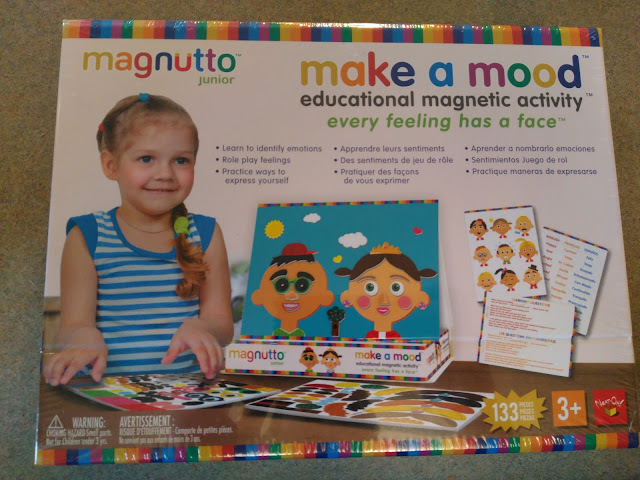 The Magnutto™ Make A Mood ($24.99) is the set my children have been having fun making all kinds of faces with and it is one of three new magnetic activity sets for tots as young as three years old. 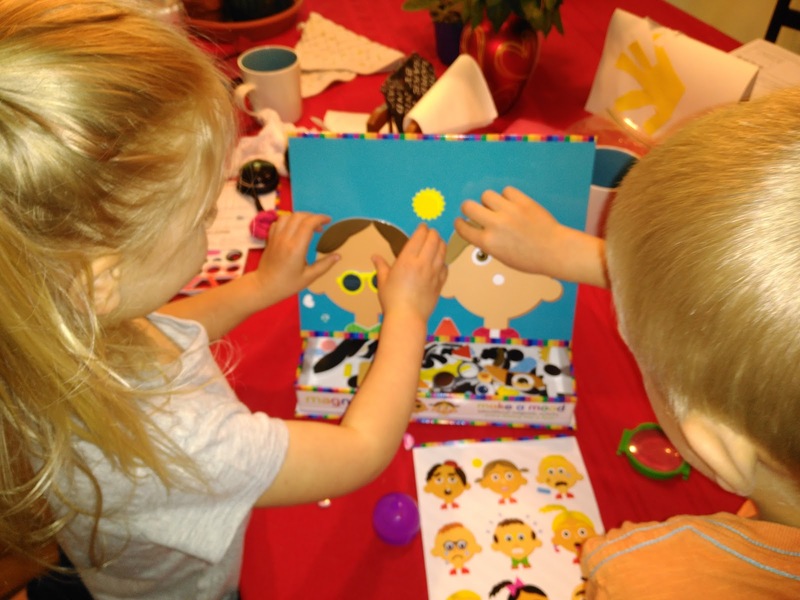 Kids are encouraged to make a face -- with magnets on an easel -- as they explore different feelings and the words that express them. It’s all up to the little artists to pick among 133 thick magnets of head-to-chin characteristics. Designed to help children identify, express, understand and respond to feeling and emotions, boys and girls manipulate the foam magnets to create a facial mood. Multilingual vocabulary cards teach tots how to express themselves in three languages! 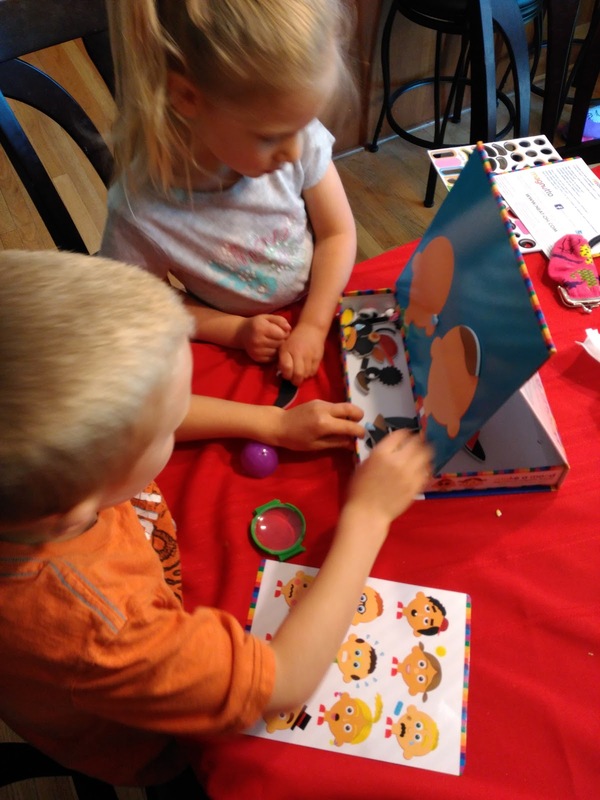 From the minute my children opened up the Make a Mood set, they were giggling and having fun creating all kinds of faces! It was fun to say an expression or mood and watch my children's creativity as they built the face with magnets! My children didn't even realize how much learning they were doing while having fun! And watching their creativeness and how many different faces they could make was fun for me as well! Neat-Oh is generously offering (1) Magnutto magnetic set (winner can choose one of the three styles) to a lucky winner!